Doctors who make house calls are not a quaint thing of the past, but a vital service that can help address your health problems when you need it most. In fact, mobile medicine offers patients the opportunity to stay in the comfort of their own homes, hotels or worksites without needing to brave the often chaotic streets of Los Angeles when they're not feeling well. 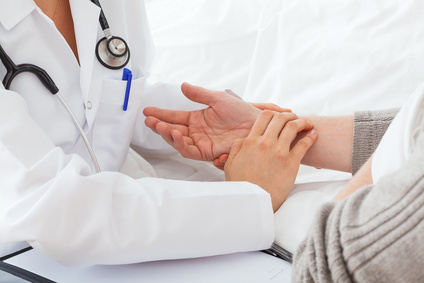 House Call Doctor Los Angeles provides this service throughout the Greater Los Angeles area to patients who want the medical care that a primary care doctor provides while in the comfort and privacy of their own homes. House Call Doctor Los Angeles' Founder and CEO is Board-Certified Internist Dr. Michael Farzam, who was attracted to his chosen career as a concierge doctor because it would allow him a more direct physician/patient relationship that wasn't muddled by red tape and bureaucracy. Now that he is one of the premier Los Angeles home visit doctors, Dr. Farzam is able to spend sufficient time with each patient, and not only that, he provides routine follow-up by calling his patients on his personal, direct line to ensure they are back to 100% as soon as possible. The medical care provided by House Call Doctor Los Angeles brings urgent care to you if you are experiencing a medical trauma, an acute medical problem, or a flare up of a chronic condition. Dr. Farzam also provides preventative care for those who need executive physicals or other medical care that a doctor in a clinic can provide. The main benefit of employing the service of house call doctors is the fact that you are able to have unlimited communication with your physician, especially because Dr. Farzam is unhurried and takes time to ensure his patients have adequate information about their treatment course. Patients of any age stand to benefit from physician house calls provided by Dr. Farzam. Gone is the long waiting time you experience at the clinic or emergency room, and you can take advantage of our services and avoid exposure to contagious illnesses others in the waiting room often have in proximity to you. Communication. On the average house call, Dr. Farzam spends 45 minutes with each patient - compare that to 15 minutes that the typical physician spends with a patient (this doesn't include the time that support staff such as nurses or technicians spend with the patient). Safety. You can stay at your specific location without having to foray into Los Angeles traffic, not to mention Dr. Farzam has common medications in his medical bag so you might not even have to trek out to the pharmacy. Privacy. Dr. Farzam's services are prompt, discrete and convenient, since you stay at your specific location and don't have to go to a more public setting such as a doctor's office. Speed. House Call Doctor Los Angeles usually arrives at most Greater Los Angeles locations within an hour or less of the patient's phone call, and that includes weekends, holidays and any time of day, as Dr. Farzam is a 24 hour on call doctor. If you are interested in the idea of physician house calls, contact House Call Doctor Los Angeles today to learn more about our service, call our Los Angeles based medical care mobile doctors at (310) 849-7991. We can provide you with a fee schedule or more information you may want to know before booking your first appointment.